From 2014 until now, the program has offered skills to equip women to be key players in their personal and family development. The women started with one of the marketable skills in Uganda, making paper beaded jewelry. In a period of two years, not only did the women receive skills to help them build a future business, but they also saved portions of their income toward their own local businesses. In the past few years, the Women Empowerment Program has transformed many lives from and has created many small businesses run by the women. In 2017, the Women Empowerment Program, launched a sewing training program. Participates have trained in tailoring and have begun sewing uniforms for Empowered Leaders Academy and the group has plans to seek contracts with neighboring schools to make uniforms and generate more income as they bring in new women to train. 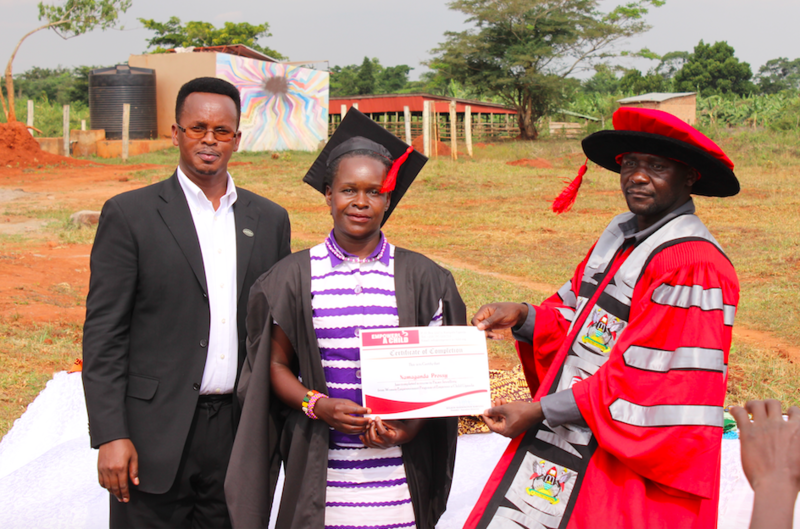 After years and months of hard work, a celebration took place on July 20, 2018, in Zirobwe, to not just recognize and honor the women who have gone through the women's empowerment training, but also to honor students who have been sponsored through Empower a Child and received diplomas at universities or high school. Also a discipleship class was awarded certificates after completing a 1 year discipleship course from David Discipleship Ministry that trains rural ministers in church ministry as well as discipleship. Over 40 women and men gathered together to celebrate their graduation and over 200 individuals from the community attended this celebration in order to support these women. The guests including local council and political office representatives in the community of Zirobwe and Empower a Child volunteers and staff from the USA, Uganda, and the UK. We are so proud of what these individuals are doing in their community! Join us in prayer for these graduates that God continues to give them wisdom and guidance as they continue to provide for their family. We love you!